The LML Vespa Cylinder Piston Kit offered by us is appreciated by clients everywhere. 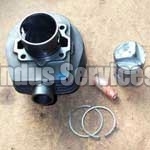 We bring forth Piston Kits that suit the requirements of various Vespa models. 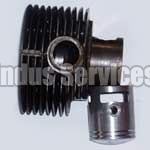 We ensure that the LML Vespa Cylinder Piston Kit that we offer conforms to the Industry standards. These Kits are available for clients at reasonable prices. Why Our LML Vespa Cylinder Piston Kit?